You are here: Home / NHL / Blues / Is Kansas City more of a hockey town than Los Angeles? But, eight miles down the road from the home stadiums of those two teams, a pair of NHL hockey clubs will square off in a sold out arena – setting a pre-season attendance record for games held in non-NHL cities. 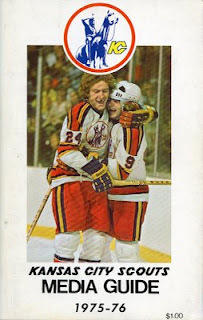 Get out your time machine though, because today’s New Jersey Devils were once the Colorado Rockies and before that, they began as the Kansas City Scouts. The city was awarded an NHL franchise in 1972. Two years later they began play in Kemper Arena, along with the Kings. 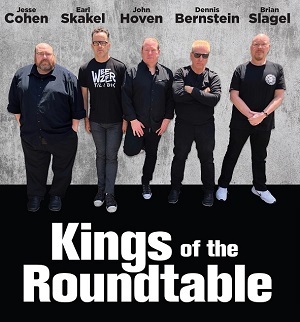 No, not the LA Kings, but the NBA’s Kansas City Kings – who had been the Cincinnati Royals for decades prior, but changed their name to the Kings, so not to be confused with the local baseball team. Speaking of the LA Kings, remember those two dismal stretches last season when the team was struggling to win games? That pales in comparison to what the Scouts went through in their second season. First, they went winless in 16 games coming out of the Christmas break. They finally won a game, then began another downward spiral – finding a way to go twenty-seven games without a win down the stretch and finished 1-35-8 in their final forty games. They didn’t make the playoffs that year. Just sayin’. The Scouts weren’t the area’s first hockey team though. Kansas City’s pro hockey history began in 1928, with the Pla-Mors of the American Hockey Association. They were around until 1951 in various incarnations. Overall though, it’s been one horrible experience after another for local fans. Teams have folded, been sold, skipped town, changed leagues and pretty much come and gone more like trade shows arriving for a weekend at the local Convention Center, rather than organizations setting up shop for the long haul. 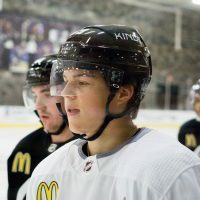 The Kings even have a loose connection to the city’s long hockey history. 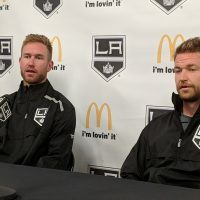 LA’s ‘second-six’ expansion cousins from St. Louis put one of their farm teams there (a CHL team)…and what did they call them? the Kansas City Blues, of course. Several players from the Kings inaugural team in ’67-68 eventually ended up skating with those Blues – guys like Bob Wall, Brent Hughes, Larry Johnston and Terry Gray. 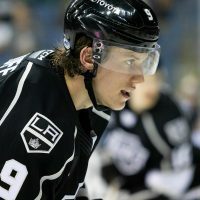 Conversely, many players who would later join the Kings had previously done time in KC – Doug Barrie (LA ’71-72), Frank St. Marseille (LA ’72-77), Sheldon Kannegiesser (LA ’73-77), Darryl Edestrand (LA ’77-79) and a member of the “just four games” club – Bart Crashley (’75). The last ‘linked’ player would have been Rick Lapointe. He skated in KC early in his career and then played nearly 100 games with the Kings (’84-86) before retiring. After the Blues ceased operations in the late ’70s, other groups have come in and tried to fill the local hockey void. None have succeed. 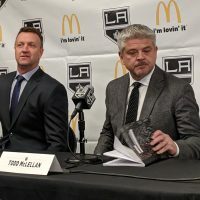 Back in Los Angeles, many longtime Kings fans can recite most of the great names from the 1992-93 team, the year they went all the way to the Stanley Cup Finals – but, do you remember Darryl Williams? He played two games for the Kings that season and later went on to be the inaugural head coach for the Kansas City Outlaws in 2004. Like most hockey in KC though, that team didn’t last long either. They folded after just one season. Temporary hockey returned to KC in 2009 when the Kings took on the aforementioned St. Louis Blues in a pre-season game. Davis Drewiske scored the first goal in the sparkling new Sprint Center than night and the Kings won 2-1. 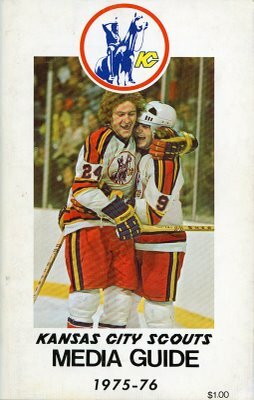 The following year, on the exact same day – September 22 – the Kings returned to Kansas City and beat the New York Islanders 4-2. Tonight they’ll face another ‘second six’ franchise in the Pittsburgh Penguins. Drew Doughty made his NHL debut in the first game, he’s not with the team tonight. Wayne Simmonds scored two goals in the second game, he’s not longer with the team. And one more change for the Kings, Jonathan Quick won’t be in goal. He started the two previous games in Kansas City, yet tonight it will be Jonathan Bernier patrolling the crease. Kansas City may not have had a consistent team for the last 40+ years, yet their roots go back more than three-quarters of a century. Combine that with a sold-out crowd tonight and it’s easy to be impressed with the locals. 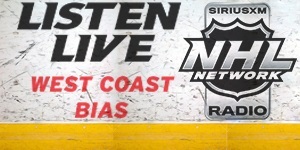 Puck drops at 5pm PST – radio only, no TV.